Since we bought our National Trust Membership, I've been determined for us to get our money's worth. That means that days out are scheduled, regardless of how wet and cold it is. It's not all grand mansions set in parkland though. 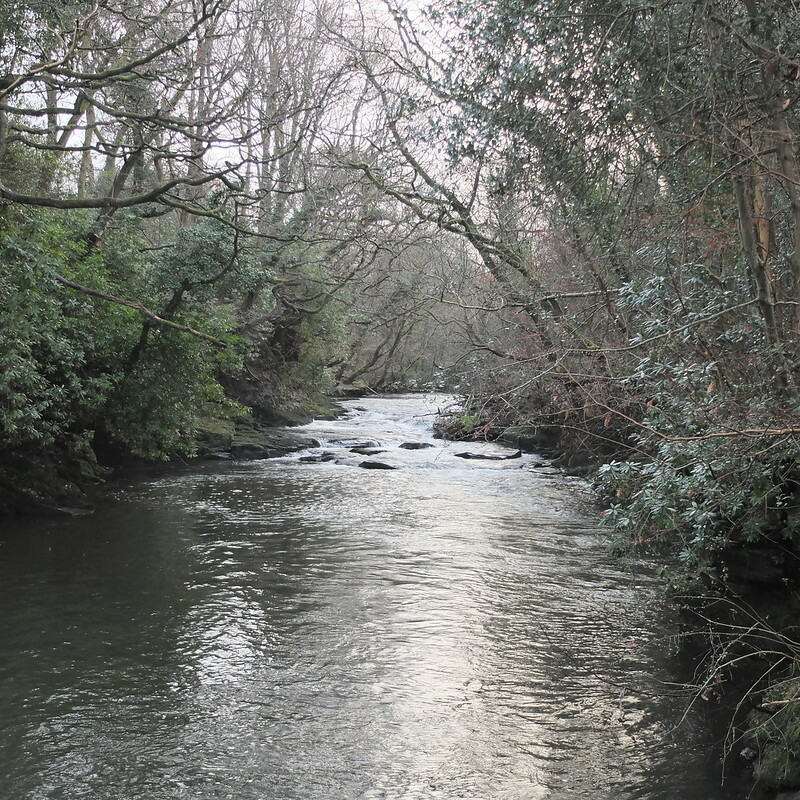 The National Trust also preserves miles of coastline and countryside, and relics of Britain's industrial heritage. 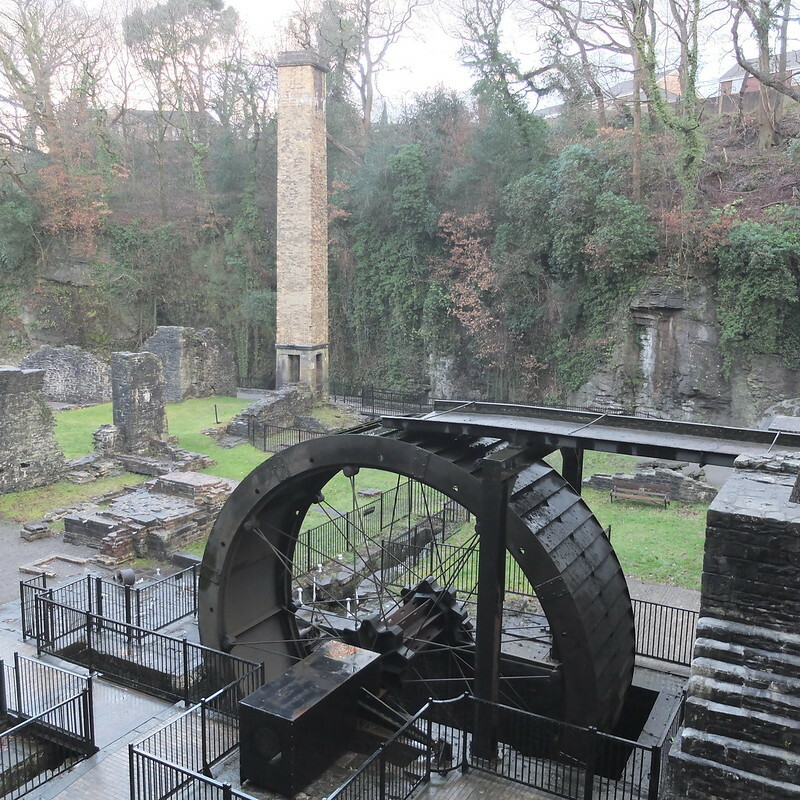 One such relic is Aberdulais Tin Works. 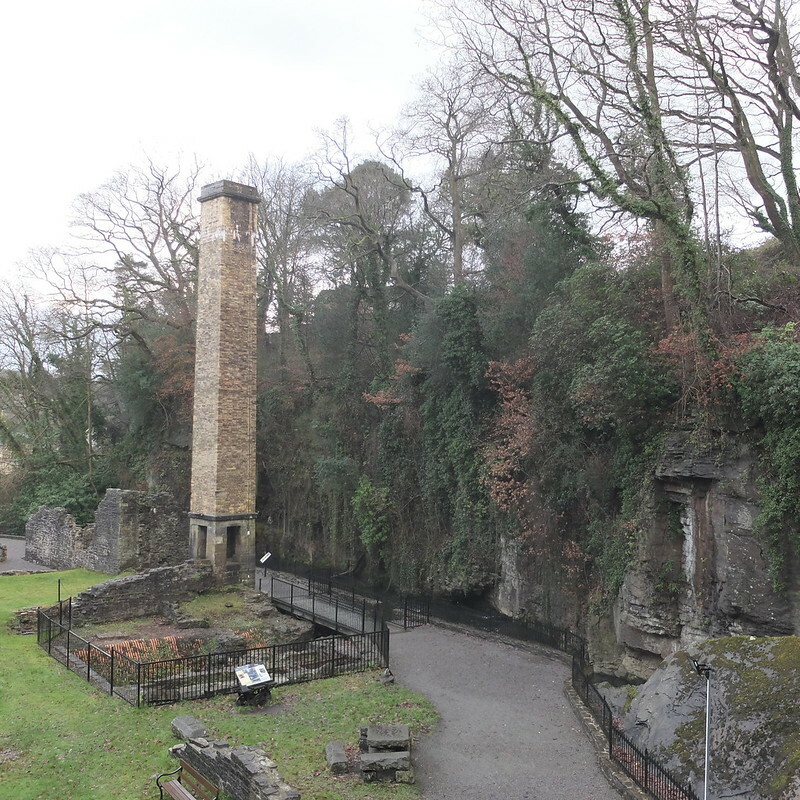 Once a beauty spot beloved of painters, including Turner, the Victorians blasted the pesky rocks out of the way to put a tin works there. 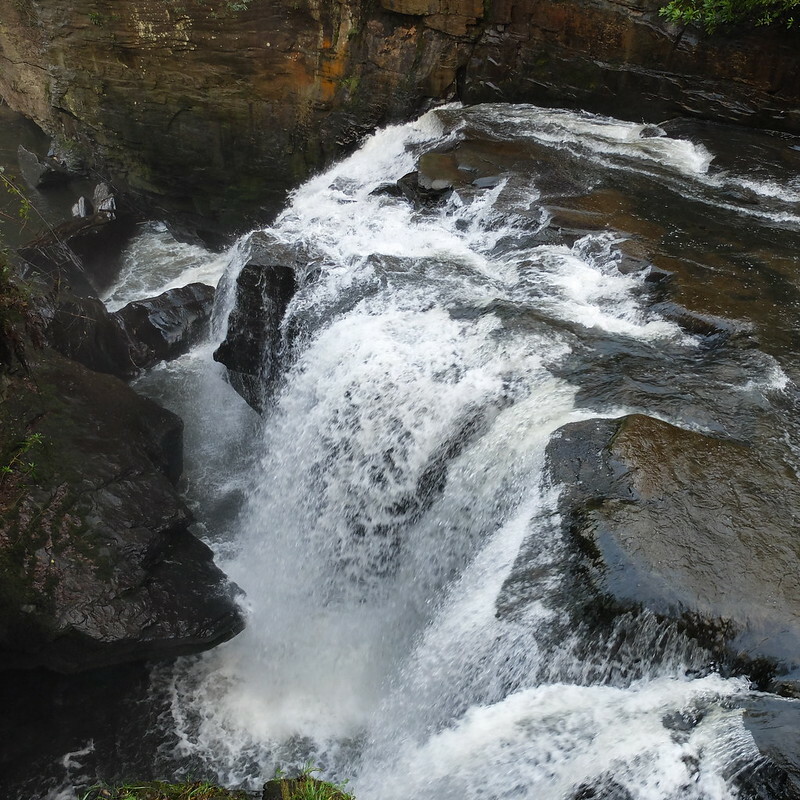 The falls are really quite impressive, they crash down with incredible force that comes as a surprise looking at the calm river upstream. It's a small site; you can easily do it in an hour, and there's a café and gift shop to warm up in afterwards. There's an exhibition, detailing the works' history, and showing the raw metal and some of the end tin products, from the first beer in cans in 1935, to toy cars. There's also a short documentary - very well done - that conveys the history of the site and the hardships of the workers. Sweltering heat, dirt, long days, poor pay, and the risk of horrible industrial accidents (such as falling into molten metal). The workers were men and women of all ages (no nice early retirement) and children as young as 8 years old. Life must have been excruciatingly hard. Do you ever get comments on items you consider 'tame' from others who think they're outlandish somehow? It did make me laugh, I mean they're not that 'bold' in my book!! It is always so interesting the way other people interpret what you wear. We're in tights for so many months of the year that I try and wear different ones, and save the plain black opaques for work days when I'm running late! 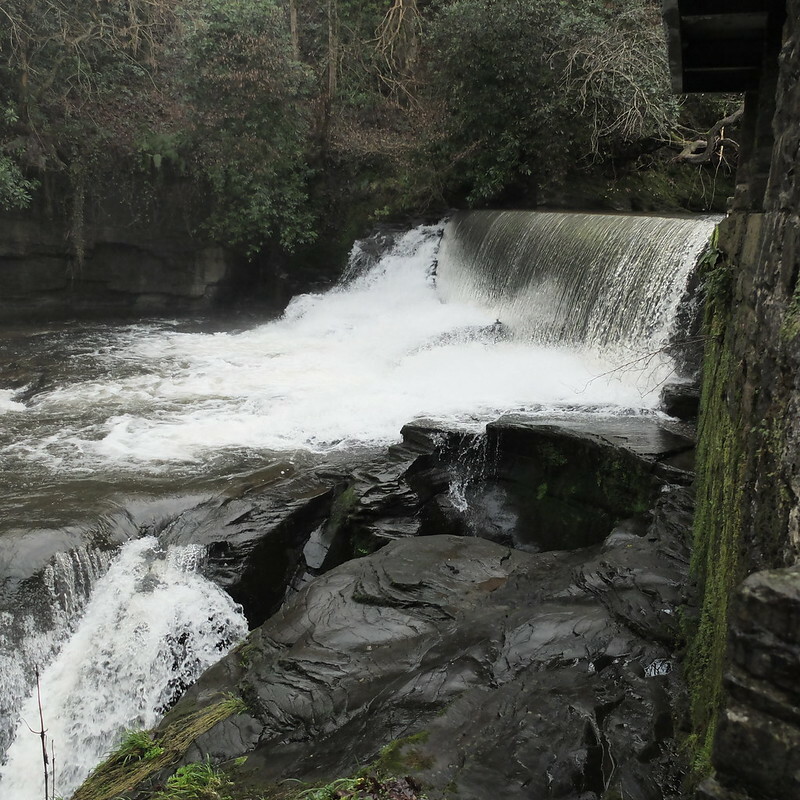 Aberdulais Falls looks fascinating, what a life, eh? Your pink coat looks fab especially on such a drab day. There should be more coats in pretty colours, I never understand why, in the seasons when we need colour, the majority chose grey or black. You look so cute wearing all that pink in that weather! Such a weird comment though. You're so right with that it brightens the day when you wear something colourful. Love it! I actually ripped them badly the last time I wore them so they're binned and will be commented on no more! B*llocks to seasonal dressing, quite frankly. I'm getting heartily fed up of seeing people banging on about how you can only wear red and green at Christmas, or brown in autumn, or pastels in spring, and heaven help you if you do anything different. Hallmark cards are not the barometer of style! Your pink looks splendid on you, and definitely a lovely splash of colour on a grey day. Nobody ever comments on my clothes. *Ever* Though as I am invisible, it gives me free rein to dress how I like. If I lived in a different climate I might not care about seasonal dressing so much, I think the issue here in the UK is that 10 months of the year can feel almost identical, a bit grey and drizzly. I find if I wear different colours for the seasons it makes me feel more like we have seasons, if that makes sense?! There are some colours I wear all year round, such as red. I am so surprised that you don't get comments on your lovely clothes Mim, you've got some stunning outfits in your wardrobe! This is such a beautiful natural setting Porcelina and of course that soothing pink jacket was a great choice. I've been wearing a lot of pink lately and it certainly gets looks but why not wear pink in March? 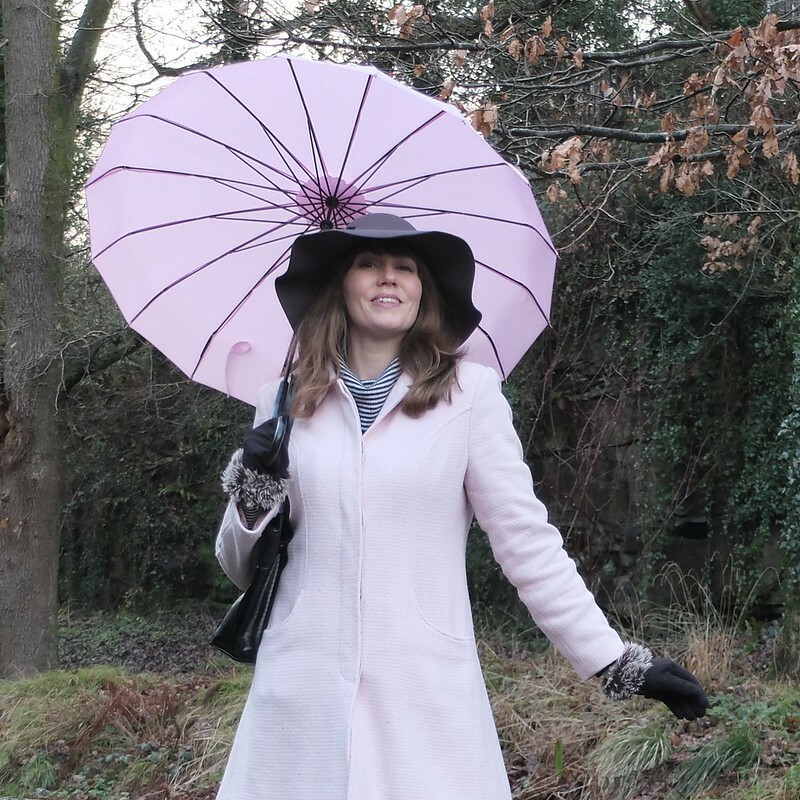 I love the shade of pink of your coat and your brolly is so pretty. My parasol initially really bothered my husband as he thought it a step too far but he soon came round! That coat is gorgeous. Pink is my favorite color. Enjoy. I'm really enjoying seeing all these National Trust places too, by the way. What a gorgeous setting! And I love the slight pop of pink with your outfit!